Having completed three successful years, Giving “Back”, the free spine surgery program of Sita Bhateja Speciality Hospital, Bangalore is all set to enter its fourth year – at the cusp of a a major milestone- the 100th surgical case of the program! From a very humble beginning in 2013, when Gautam Raja of Spectrum Racing (India’s best amateur racing cycling team) rode the arduous 8 day Tour of the Nilgiris (TFN) as charity rider, we have staunchly believed in the cause and were sure it would grow year on year. From the funds raised then we did 12 surgeries in 2014. The following year, Vivek Bhateja rode as a charity rider at the same event and raised almost 3 times as much as we did the previous year. With Vivek’s huge effort, the year 2015 saw us performing 21 spine surgeries of a high degree of complexity and egged us on to do even better in 2016. That meant that in the year 2016 we have so far done 60 surgeries under the program and are at the brink of completing our first 100 cases – that too with an extremely low complication rate of less than 1%. Having recovered well from his crash and trained hard all of 2016, with two international races in 2016, Dr Arvind is all set to take on the challenge of TFN with a renewed vigour this time with none other than the redoubtable rider, chief crank and bike mechanic Nikhil Ram Mohan of Crankemister Bicycle Works, Bangalore. 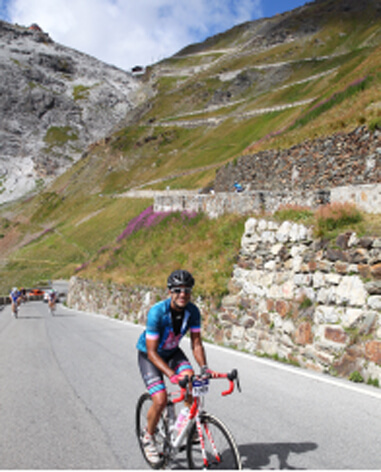 Dr Arvind Bhateja climbing the 2000 metre high Mount Stelvio in Italy during a race in 2015. Nikhil riding along with his Crankmeister team. Nikhil, began his outdoor career with mountaineering and developed a great fondness for the outdoors. This very same affection for the great wide open took him to Runners for Life for a 6 year stint. Forced to commute by bicycle because of Bangalore’s growing traffic congestion, Nikhil took to cycling and then came to realise that here was something he truly loved and wanted to pursue not just as a hobby but as a full time vocation. He teamed up with Pavan Muthanna and started what has now become one of Bangalore’s most beloved bicycle stores, the Crankmeister bicycle works. Like their slogan “If we aren’t fixin’ em, we’re riding ‘em” suggests, they are not just ace mechanics but also love to ride and race their bikes at Bangalore’s melting pot for cyclists – the Bangalore Bicycle Championships. 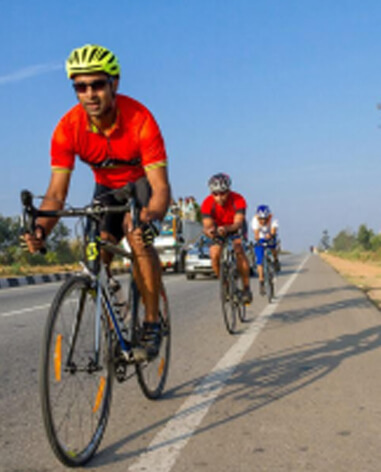 This year Dr Arvind and Nikhil will be pushing hard on the pedals, riding for the cause of helping the under privileged to get access to the best facilities and doctors to cure their spine diseases. Please be generous and help them Make a Difference! 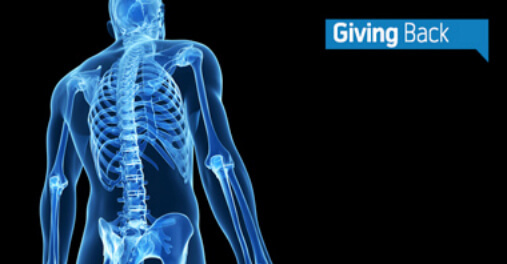 As far as we know, this is a one-of-a-kind program that exists where a Spine Surgeon himself rides a challenging tour to raise funds and returns to the operating theatre for the rest of the year (except when he’s racing) to operate on patients in desperate need of succour.